The great, wise Winston Churchill once said; "We shape our buildings; thereafter, our buildings shape us." The notion of choosing a historic home, which can shape us with it's history and character can be a very alluring. However, 'historic home' often evokes an image of sprawling, two story Victorians, curricular stair cases and second-level verandas. For those of us that prefer a one story home, there are plenty of styles to choose from. What is your favorite architectural style? Italianate? Tudor? Second Empire French? 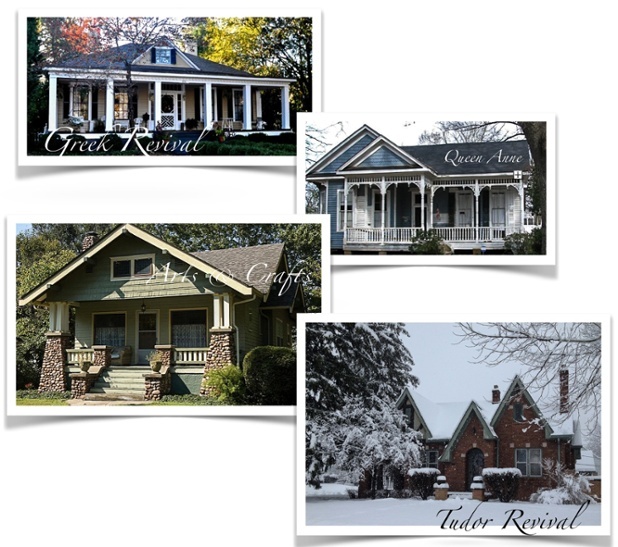 Our ebullient and warm home city of Indianapolis has historic homes representative of a great many of these styles. Best of all, you can find one story versions of many of these, including Arts & Crafts, Queen Anne, Tudor Revival, and Greek Revival. There are a few which don’t translate well into a one story, those where the whole point of the architecture is the towering grandeur of the second floor, but for the most part, most classic styles can be found sans circular stair. When I searched this week I found 56 examples of historic one story homes on the market in Greater Indianapolis, so if you’re looking, tell your agent because there is plenty to see! A few examples; Here's an example of an 1879 Arts And Crafts style bungalow which has been rehabbed with a modern flair. Here is one build in 1800, with some of the classic arched doorway details, which has also been rehabbed to include contemporary interior elements like granite for countertops. Keep in mind that there are two kinds of “Historic” homes. There is historic meaning that it’s on a national registry of historic homes, which may mean very specific regulations in terms of the maintenance of the home’s existing architectural and interior aesthetic and then there is historic in terms of homes built 100 or more years ago, containing much of the character and charm of the age, but not necessarily marked as a landmark. If you were ever daunted by the idea of an older home, one of these old-but- rehabillitated homes might be the very best of all worlds to consider, containing all of the architectural interest and charm of an old home plus the best of modern efficiency and style. If you’re considering the possibility of an historic home, there are things which are specific to purchasing an older home to understand. For example, as mentioned above, its a good idea to find out if the property you’re considering is on the national registry of historic homes. You can investigate that here. That site will also provide information if you already own an older home and think that it should be on the registry. Even if the home you love is not on the registry, there are often covenants or restrictions tied to certain neighborhoods which would prohibit you from making major alterations to a home, including things like putting in new windows or other upgrades which may impact your utility costs. Don’t think that just because the home was built before HOA’s and Covenants, Codes and Restrictions, that none exist for the property. It pays to find out in advance! It’s also good to have inspections done of the main systems of the home (plumbing, electrical and structural) by an inspector and a contractor, and have them done by someone who is familiar with historic homes. This is important because an inspector or contractor familiar with the age and style of the home will have a much more accurate idea of cost, if there are any updates or repairs which need to happen. Don’t forget the more stringent health-related inspections that you may want to have done with an older home, such as radon, asbestos and lead, since building codes were non-existent at the time most 19th century homes were built. At the end of the day, if you find that your heart is pining for a home with real history, I say good luck finding a cure. Good luck, because I’m guessing that nothing short of living among the authentic bits of art and architecture of an old home will do. A home which, like Churchill said, can shape so many of the moments of your life, whose elements are like a marker on your life.